Decide what kind of future they want for themselves. Create a long-term plan that will help them address their health, financial, legal, and home issues and achieve their goals. Share their long-term plan with the important people in their lives. The initiative includes a 40 Day Pledge that offers women an opportunity to make a commitment to complete a Living Longer, Living Smarter plan for their future. It covers four critical areas of life— home and community, health, finances and wishes. The DCS event was attended by a diverse group of women representing various ages and ethnicities. 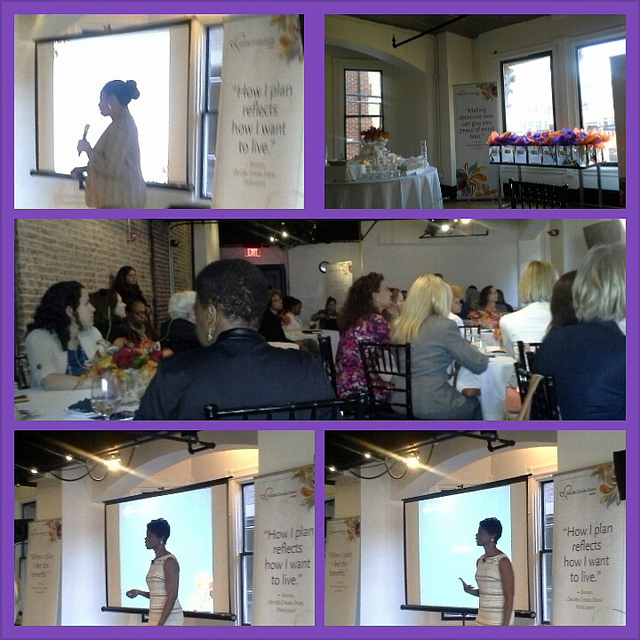 We participated in an engaging session led by Sondra Wright, a women empowerment entrepreneur, author of 40+ and Fabulous: Moving Forward Fierce, Focused and Full of Life!, and founder of 40 Plus and Fabulous, LLC (see photos at the bottom of the photo collage above). Wright shared personal stories from her own life as she introduced us to the DCS initiative and explained the benefits of each component. As a group, we had a chance to reflect on the current state of our home, health, finances, and wishes. We also explored our future needs in these key areas. Throughout the session, Wright’s invitation to the audience for deeper sharing produced conversations that revealed lessons learned we could all gain wisdom from. She also encouraged the audience to commit to living better, healthier, stronger, and more aware lives now. As I watched her and the AARP team share DCS golden nuggets, I realized I was witnessing DCS in real-time. They made it come alive for me. They also inspired me to follow through on the DCS 40 Day Pledge I made to myself and discussed during my most recent blog update. Many thanks to the AARP DCS Campaign for hosting an amazing, informative, and energizing event! 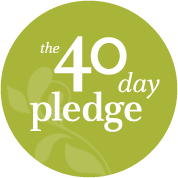 Have you taken the 40 Day Pledge yet? If yes, how has it helped you? 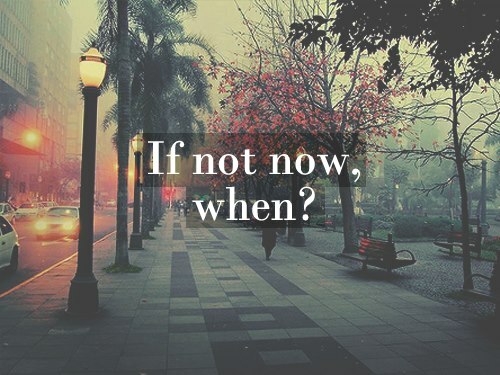 If not, sign up today and get started on planning for your future! Happy Last Thursday in August! The Pledge offers women an opportunity to make a commitment to complete a Living Longer, Living Smarter plan for their future. It covers four critical areas of life— home and community, health, finances and wishes. My post outlined what I planned to do during the 40-day period which officially ends on August 31. Today’s blog post is a check-in that shares what I have I completed so far and my plans for the coming weeks and months. 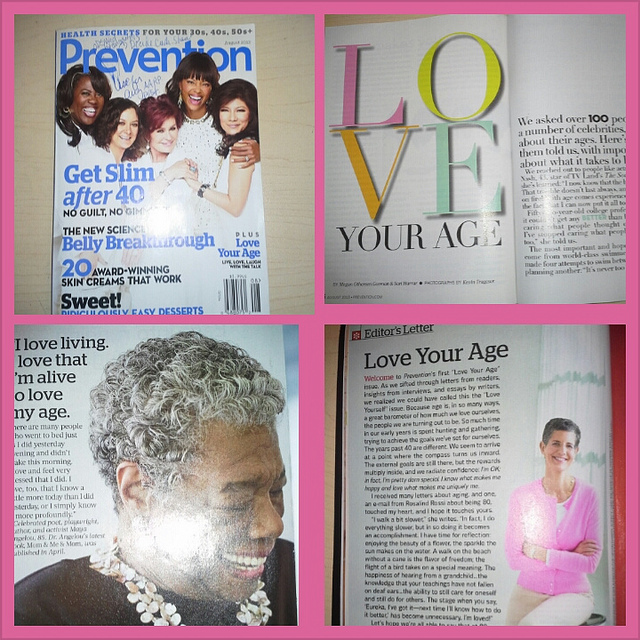 My August got off to a great start due to inspiration I received from reading the “Love Your Age” issue of Prevention. I was moved into action by Anne Alexander’s Editor’s Letter, a series of lessons in the “Love Your Age!” article by Megan Othersen Gorman and Sari Harrar, and wisdom from Dr. Maya Angelou, one of my personal sheroes. 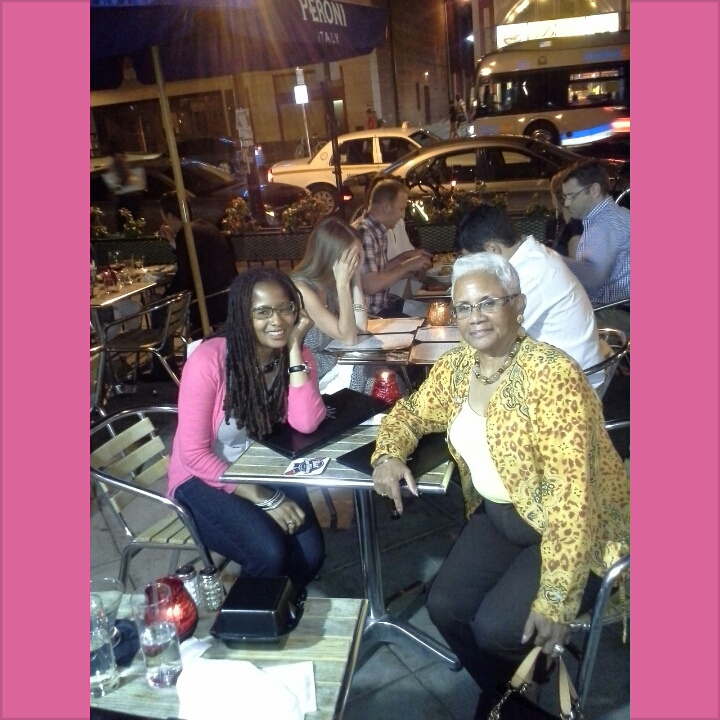 I carried their words into my third quarter meeting with my Ameriprise financial advisor Judy Weathers at Ulah Bistro in my U Street neighborhood in Washington, D.C. (Ulah has great food, drinks, dessert, and wine). We reviewed my business revenue streams, expenses for any big ticket items in the next several months, emergency fund, investments, new investment plan, retirement savings, and current policies for disability and long-term care. Before ending the meeting, we scheduled a follow up meeting in October. Judy also gave me homework (update all of my financial information from early 2013) that is due on September 6. She agreed to be my accountability check-in person for my 40 Day Pledge homework in September, October, November, and December. Here’s what I was able to do this month: clean out some of my financial files, submit my monthly invoices to vendors and clients on time, make a list of 3rd quarter expenses and new revenue stream sources (obtained one new client), schedule and go to three women’s wellness exam follow up appointments, and give summer clothing and shoes to charity. This weekend, I am going to complete the online 40 Day Pledge Worksheets, finish my homework for my financial advisor Judy, file my current financial records, review my health records and file the current records in order, and create a more realistic schedule for the action items listed below. I am gonna be one busy lady this Labor Day Weekend! Prepare a list of all monthly expenses and account numbers for each creditor, utility providers, and mortgage company). Create a list of all my usernames and passwords for bank, credit, debit, web site, and social media accounts. Share the list with close family members. Obtain a safe deposit box. Prepare a list of upcoming expenses for the 4th quarter. Prepare a list of all current revenue streams for the 4th quarter. Identify additional revenue streams for the 4th quarter and map out plans to obtain them. Obtain my health records from my previous doctor and send them to my new doctor. Schedule my eye, dental, and foot appointments in September and October. Prepare a list of my vitamins, medications, medical care providers and acupuncturist’s contact information, and health/eye/dental/long-term care/disability/life insurance policy information. Share the list with close family members. Make several copies of my deed to my property and file in my safe deposit box and personal home files. Update my home insurance plan inventory list with new equipment and the value of any personal property. Create a contact list of all home service providers (plumber, heat/air conditioner, painter, and contractors). Prepare a list of items and furniture I plan to purchase in the next 6 months to a year and map out the best times to purchase them. Review and update my will (include statement about how to handle my social media accounts and web sites when I die) and healthcare power of attorney. Have the documents notarized. Give copies to my close family members and file a copy in the my safe deposit box. Review my real estate property deed and related documents. File them away safely. As you can see from my check-in, I am a work in progress. I am happy about the progress I have made and looking forward to taking better care of myself in the coming weeks and months. Did you take the 40 Day Pledge? What have you been to accomplish? 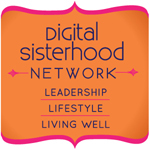 Digital Sisterhood Network (DSN) recently had a chance to conduct a “Live Your Best” interview with Sylvia Wong Lewis (SWL), CEO and Founder of Narrative Network, a boutique PR business in New York City. Lewis serves as a Commissioner for the New York State Department of State and the New York Ethnic Community Examiner for Examiner.com. 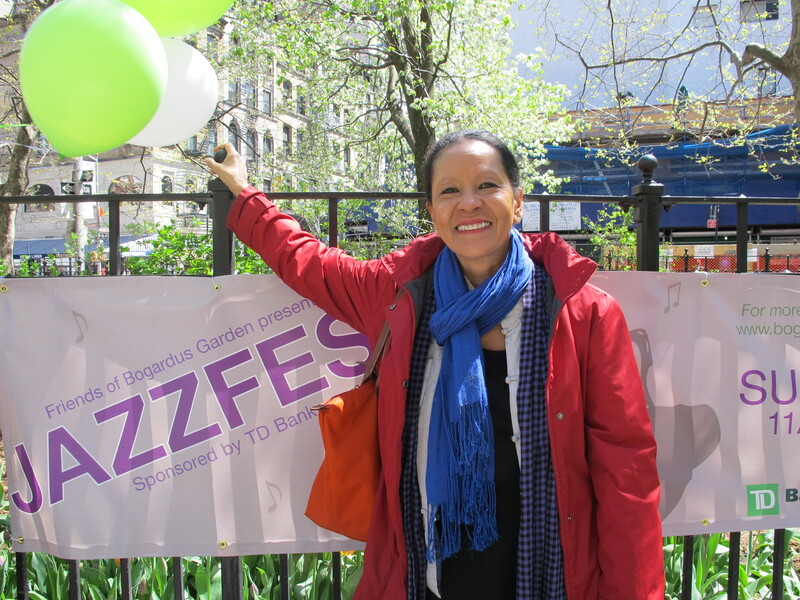 Her Narrative Network blog discuss art, culture, food, genealogy, gardening, lifestyle, music, and New York City neighborhoods. Her beautiful photography illustrates many of her blogs and posts on Facebook, Instagram, LinkedIn, Pinterest, and Twitter. 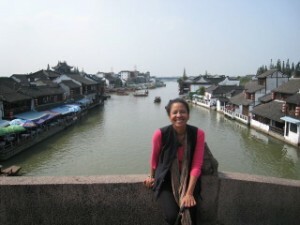 This year, the proud Smith College alumna received a Telly Bronze Award for creative excellence for her documentary production of “From Shanghai to Harlem,” an American migration and immigration story that portrays her mixed Chinese and Black family by exploring slavery, freedom, music, love, identity, and diversity. She also received the AVA Digital Award’s Gold Award for creativity and video editing in documentary production. DSN’s interview features a discussion about Lewis’ participation in AARP’s Decide. Create. Share. Initiative’s 40 Day Pledge campaign. The Initiative is designed to help women do three things: 1) Decide what kind of future they want for themselves. 2) Create a long-term plan that will help them address their health, financial, legal, and home issues and achieve their goals. 3) Share their long-term plan with the important people in their lives. The 40 Day Pledge offers women an opportunity to make a commitment to complete a Living Longer, Living Smarter plan for their future. It covers four critical areas of women’s lives— home and community, health, finances, and wishes. For more information, follow AARP Decide.Create.Share. on Facebook, Pinterest, and Twitter. DSN: What does living your best life mean to you? SWL: Safeguarding my mind-body-soul connections. Also, it means focusing on five elements: 1) emotional health; 2) social health and friendships; 3) physical health – exercise; 4) career – doing/discovering fulfilling creative work; and 5) financial – managing investments and generating income. These elements are connected to “My Soul-Caribbean Rules” (Ways to Live Your Best Life). Be self-sufficient: Be healthy, exercise, and get fresh air and sunshine. Know how to cook rice and beans. Know how to fish, catch, and prepare a chicken. Be able to entertain yourself — play a musical instrument, sing, write poetry, tell stories, dance, or act. Keep a survival kit including a jug of water, cash, flashlight, matches etc. Be prepared for a blackout, flood, or earthquake. Don’t run out of food—it’s bad luck. Be spiritual and inspired—which means in-spirit. Hone People Skills: Don’t look at or answer your cell phone during meetings or with friends. Cleanliness is next to Godliness. Be neat. Develop conversation skills, small talk, eye contact, and body language. Don’t gossip or tattle. Don’t say anything if it’s not nice. Save personal questions for later. Always be early—never late for appointments. Keep Your Wits About Yourself (environment/location, sense of direction): Get the lay of the land, so you don’t get lost! Be happy and have fun. Laugh out loud. Cry. Be passionate. Finances: Don’t go on welfare or be a welfare witch! Be thrifty. Do without until you can afford it. Never borrow or loan money to your relatives. If you can spare money, give it freely. Don’t hire your friends or relatives or rent to them either. Be kind. Be generous. Practice hospitality. If you can put up someone or provide a warm meal, do it. Always have three jobs or multiple sources of income — journalist, consultant, chef, gardener, tour guide and executive assistant—are among my jobs. Always keep a money stash that no one knows about! Surround yourself with people who are smarter, more successful than you; and be with people who share the same or similar values. DSN: How did you give yourself permission to live your best life? SWL: When something bad happens, then we realize that we need to re-focus. I believe that happened to me at key points in my life (career changes, death of parents and a sibling, child’s illness, divorce, homelessness, domestic violence, job changes, working too many jobs, getting a raise/promotions, moving to five different cities, fame. and fortune, etc.). At 60 plus years old, I have re-calibrated my life many times–my relationships, my health regimen, and lifestyle, how I spend my free time, and finances. But change was not easy. I was not always ready to listen or act on my inner voice’s urgings or intuition. I experienced everything–much joy and happiness and heartaches and disappointments too in my life. I resisted my inner voice in regard to safeguarding my mind, body, and soul connection for years. Then one day, I stopped! Maybe that’s the Pisces in me—capable of extremes!!! Once I uncluttered my life, I was able to tap into my own true wisdom, talents, values, and culture. I began to reclaim my voice and find my way to living my best life—the life that everyone is destined and entitled to live. Self,care was my first priority. Several years ago, I knew that I had been neglecting myself especially emotionally, spiritually, physically, and financially. I was on speed-dial, automatic pilot and a treadmill. Reality checks: I realized that some of my so-called loved ones and beloved colleagues did not have my best interest at heart—only their own self-interest! I had to own up to being an enabler in some cases, causing my own problems in other cases and even sabotaging myself. So remember, if anyone calls you selfish or tries to make you feel bad about your self-care practices, pulling yourself out of debt, getting your health checked, eating health food, dancing, singing, or chanting – DELETE them, immediately! I went back and forth inside my head for years before making changes that I knew I should make. Actually, when I decided to change my life, my timing and circumstance were totally wrong. But, I was finally ready. Among the best things I did for myself was seek counseling about changing my life. My college roommate, Karen, who is a therapist, advised me to do just that. At first, I was resistant: “Black people don’t do therapy,” I thought to myself. But, I trusted my friend’s judgment. I lucked up and found a feminist therapist who combined grief and empowerment therapy. I had a lot to do: manage my deceased parent’s affairs, finalize a divorce, arrange custody and visitation for my special needs child, find a new job, and a place to live. I was starting a new life all over again. It was an exciting and scary time. I made these changes and many more when I was about 40 years old. So, if you are near 40—watch out! Almost immediately, my life became better and happier in every way possible. 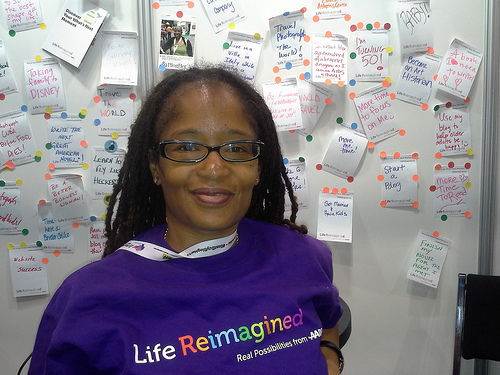 My new uncluttered life attracted positive people, activities, and opportunities. I started a new business, a new job, and purchased a new home. I was beginning to live my best life. I found my new husband when and where I least expected. By then, I was on my road to recovery—recovering my life back! Today, I find happiness in very simple ways like sharing a cup of tea with a new friend, sitting in the sunshine, the aroma of freshly cut grass, hearing laughter, eating a peach, looking at art, or walking in the rain. Checking my small garden and cooking a family recipe has its own moments of joy. So, my advice about living one’s best life has to do with safeguarding your mind, body, and soul; honoring your cultural traditions; and listening to your inner voice. If you take care of those areas, you will notice a new level of satisfaction. Your affairs will simply fall into place with ease. 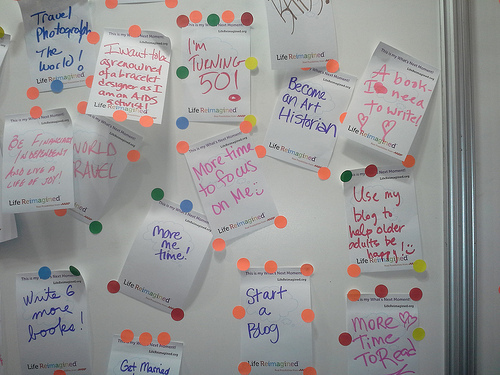 DSN: What inspired you to do the AARP 40-day pledge? 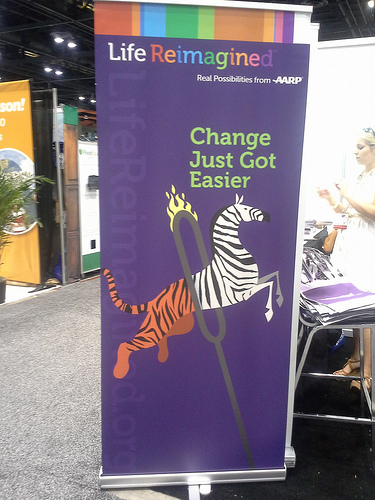 SWL: I was interested in AARP’s Decide. Create. Share initiative because I wanted to see if I had all of my bases covered. Together with my husband, we completed all of the checklists. We still must work on the ”Last Wishes” item. But, we were pleased to learn that we have taken all the steps plus some, to plan our future. 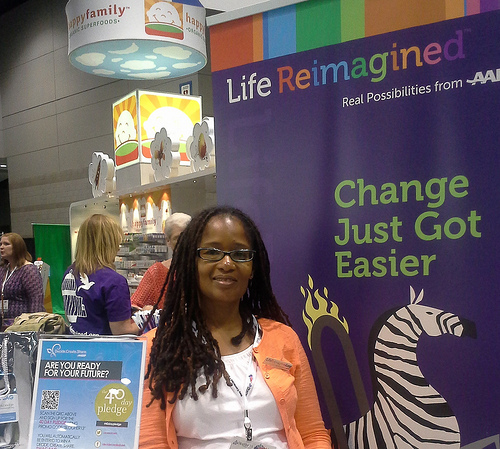 Digital Sisterhood Network founder Ananda Leeke joined a powerful group of blogger ambassadors Jessica Ashley, Judy Freedman, Sharon Greenthal, Chloe Jefrries, and Patricia Patton in supporting AARP during the BlogHer 9th Annual Conference at the McCormick Place in Chicago, Illinois. 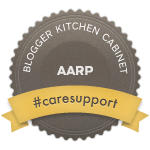 As an AARP blogger ambassador for the CareSupport Campaign and Decide.Create.Share Campaign, Leeke was on double duty. She was able to work side-by-side AARP staff and share information about AARP’s Caregiving, Decide. Create. 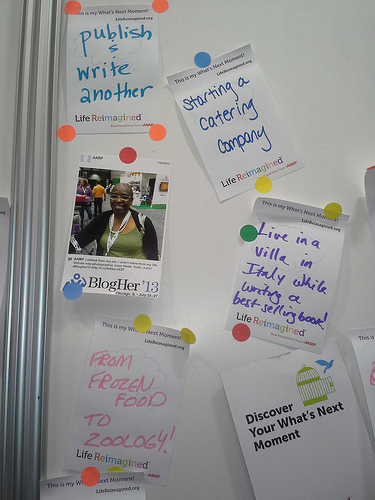 Share., and Life Reimaged Programs with BlogHer attendees in the Expo Hall. The conversations she had with attendees underscored the importance of each campaign’s value to women. Check out the photos below. AARP’s Decide. Create. Share. Initiative is designed to help women do three things: 1) Decide what kind of future they want for themselves. 2) Create a long-term plan that will help them address their health, financial, legal, and home issues and achieve their goals. 3) Share their long-term plan with the important people in their lives. The 40 Day Pledge offers you an opportunity to make a commitment to complete a Living Longer, Living Smarter plan for your future. It covers four critical areas of your life—your home and community, your health, your finances and your wishes. If you are a caregiver or have family members, friends, or colleagues who serve as caregivers, please encourage them to visit AARP’s Caregiving Resource Center. The web site has great articles and tips that caregivers can use to support their wellness journey as they care for their loved ones. FYI – When you travel, you can now access AARP’s Caregiving Resource Center on your iPad ! Life Reimagined offers powerful tools, resources, and inspirational content to help you reconnect with your natural gifts and talents so you can live your best life. 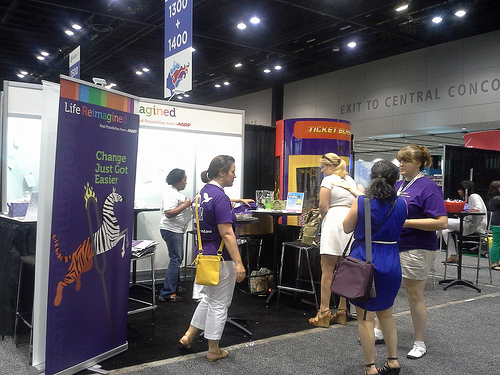 Life Reimagined also provides a community where you can your share goals and dreams, and have conversations with real people just like you that can result in real change. 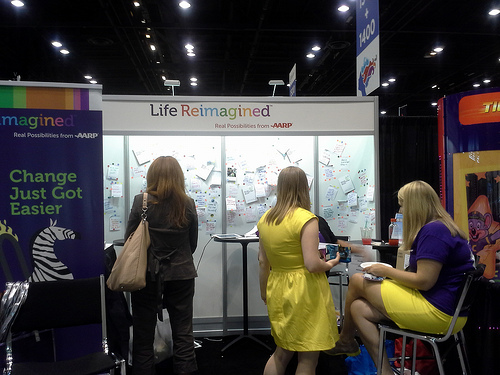 In addition, AARP established the Life Reimagined Institute which provides thought leadership and program development that guides and fuels the Life Reimagined experience. Think of it as an incubator of transformational processes, methodologies, and insights. Through the Institute, you will have access to the world’s leading experts in personal development, aging, transitions, and reimagining life. 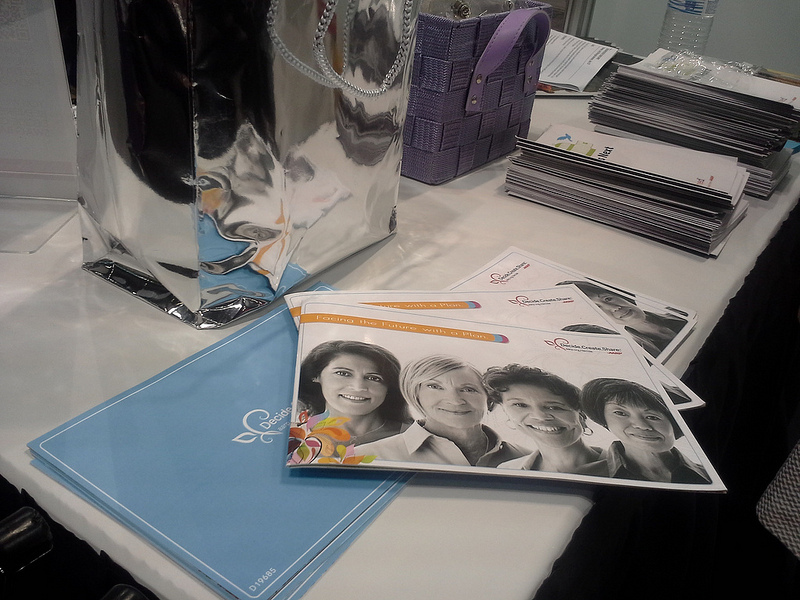 Thank you to the AARP team for bringing its campaigns to the BlogHer community! 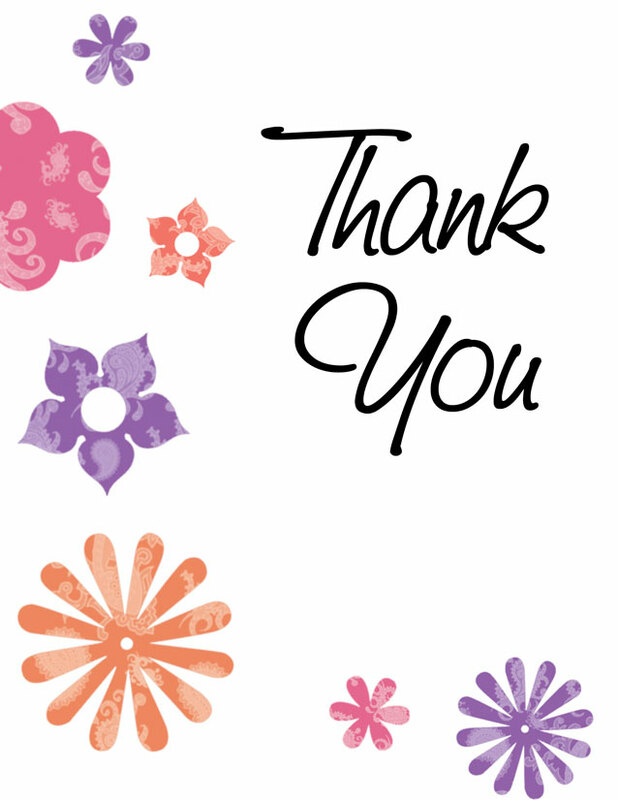 We heart you ladies: Alyson Curtis, Liz Bradley, Ally Funk, Patti Shea, Jen Reeves, Amy Goyer, and Carole Ricks! Many thanks to the Women Online team Morra Aarons-Mele, Jen Vento, and Kaitlyn Dowling for giving the AARP bloggers a powerful opportunity to shine and connect with each other, AARP, and BlogHer attendees! Disclaimer: This blog post was written in support of Digital Sisterhood Network’s Leadership, Lifestyle and Living Well initiative and participation in AARP’s Caregiving Campaign and Decide. Create. Share. Initiative. Digital Sisters Give Yourself Permission to Live Your Best Life! I love reading O Magazine, especially the Live Your Best Life page which always includes a quote that sinks deep into my heart and soul. The photo above features a quote from Lao Tzu, a Chinese philosopher and author of the Tao Te Ching: “Cultivate the inner self, its Power becomes real .” When we slow down and take a few moments to breathe in and out deeply, we are creating space to check in with ourselves. Whenever we do this, we can get in touch with and listen to our inner selves. When is the last time you slowed down and took a few moments to breathe deeply and connect with your inner self? This past weekend, I participated in the Digital Sisterhood Unplugged Weekend which involved taking some major breaks from my digital life, electronic devices, and to-list. During my “Unplugged” breaks I made time to practice meditation and deep breathing exercises, take a “Vin, Yin & Zin” yoga workshop that included yoga and wine (yes really!) on Friday night, go running on Saturday and Sunday mornings, practice yoga in the park on Sunday morning, and go on a long walk after church on Sunday morning. During my walk, I noticed the summer beauty of my neighborhood. Afterwards, I started to check in with and listen to my inner self. Guess what she had to say? She reminded me I needed to give myself permission to deepen my commitment to live my best life. For me, that meant completing several financial, health, home, and legal projects. In order to take action, I knew I needed accountability. That’s why I decided to participate in AARP’s Decide. Create. Share. Initiative’s 40 Day Pledge campaign. AARP’s Decide. Create. Share. Initiative is designed to help women do three things: 1) Decide what kind of future they want for themselves. 2) Create a long-term plan that will help them address their health, financial, legal, and home issues and achieve their goals. 3) Share their long-term plan with the important people in their lives. The 40 Day Pledge offers you an opportunity to make a commitment to complete a Living Longer, Living Smarter plan for your future. It covers four critical areas of your life—your home and community, your health, your finances and your wishes. Over the course of 40 days you will complete seven steps and receive email reminders outlining important actions to complete or consider to take charge of your future. The action steps are easy to complete. They will not take a lot of your time! Check out my 40 Day Pledge commitment below. I pledge to use the next 40 days to complete the checklists and worksheets on the Create.Decide.Share. web site, complete 15% of the my projects included below, and prepare a schedule for completing the remaining 85% of my projects in 2013. File my current financial records. Meet with my Ameriprise financial advisor Judy Weathers for the 3rd quarter meeting to discuss my current policies for disability and long-term care, emergency fund, and retirement savings. Also, schedule the 4th quarter meeting. Submit monthly invoices to vendors and clients on time. Prepare a list of upcoming expenses for 3rd and 4th quarters. Prepare a list of all current revenue streams for the 3rd and 4th quarters. Identify additional revenue streams for 3rd and 4th quarters and map out plans to obtain them. Schedule my eye, dental, and foot appointments before the end of the year. Review my health records and file the current records in order. Identify summer clothing and books I no longer need. Give them to charity. Now you have a good idea of what I will be doing for the rest of the summer season. Let me ask you a question. What does living your best life mean to you? You are worthy of living your best life. So give yourself permission to live it. Go on and jumpstart the process of living longer and living smarter by investing in yourself this summer. Join me in taking the 40 Day Pledge. Click here to get started. Enjoy your journey! 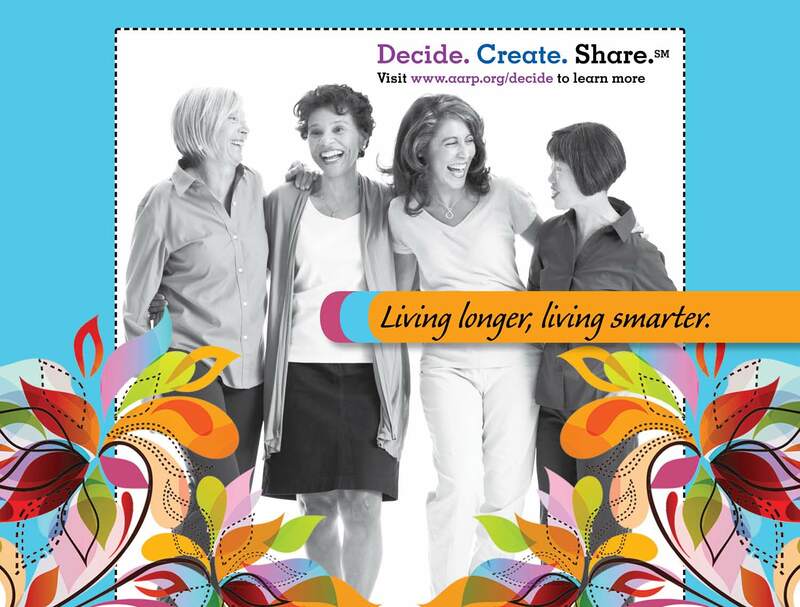 PS: Be sure to follow AARP Decide.Create.Share on Facebook, Pinterest, and Twitter. Digital Sisters Are You Thinking About Your Future? 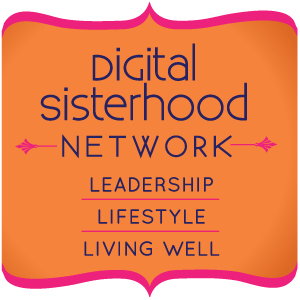 Guess what the Digital Sisterhood Network (DSN) is doing this summer? 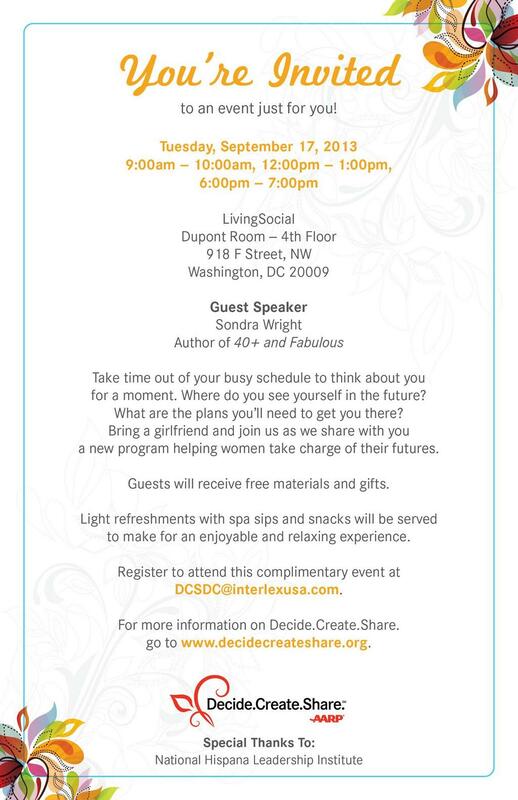 DSN is partnering with AARP’s Blogger Kitchen Cabinet for the Decide. Create. Share Campaign as a part of our Leadership, Lifestyle, and Living Well Initiative. AARP’s Decide. Create. 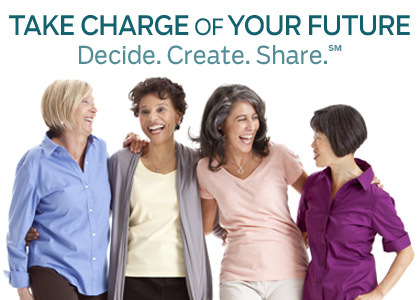 Share Campaign is designed to help women do three things: 1) Decide what kind of future they want for themselves. 2) Create a long-term plan that will help them address their health, financial, legal, and home issues and achieve their goals. 3) Share their long-term plan with the important people in their lives. DSN became a part of the AARP Decide. Create. Share. 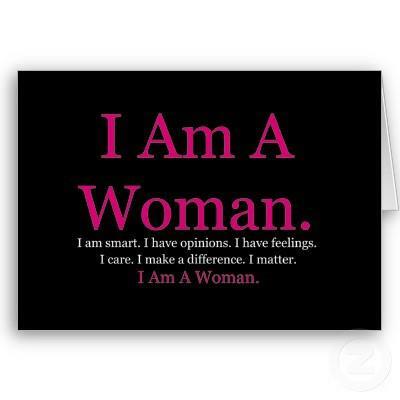 Campaign because we know our Digital Sisters are smart women with busy lives and responsibilities. We know our Digital Sisters have opinions and feelings. We know our Digital Sisters care about themselves and their families, friends, colleagues, and communities. We know our Digital Sisters make a difference. We know our Digital Sisters matter. That’s why we are using our blog and Facebook page from July 12 to July 18 to ask you one question. Are you thinking about your future when it comes to long-term planning for your health, finances, legal issues, and home issues? Please share your feelings, opinions, and stories in the comment section below or on the DSN Facebook Page. Disclaimer: This blog post was written in support of Digital Sisterhood Network’s Leadership, Lifestyle and Living Well initiative and participation in AARP’s Decide. Create. Share. Campaign.